Welcome to my latest blog post which introduces a series of Style Stories .. I was recently thinking about all the wonderful women I have worked with during the years I have been lucky enough to be doing the work I love. One thing sprang to mind recently though – that even if some have similar colouring or body-shape or style personality – every single woman I have worked with is as individual as a snowflake. And this is something I really want to celebrate. 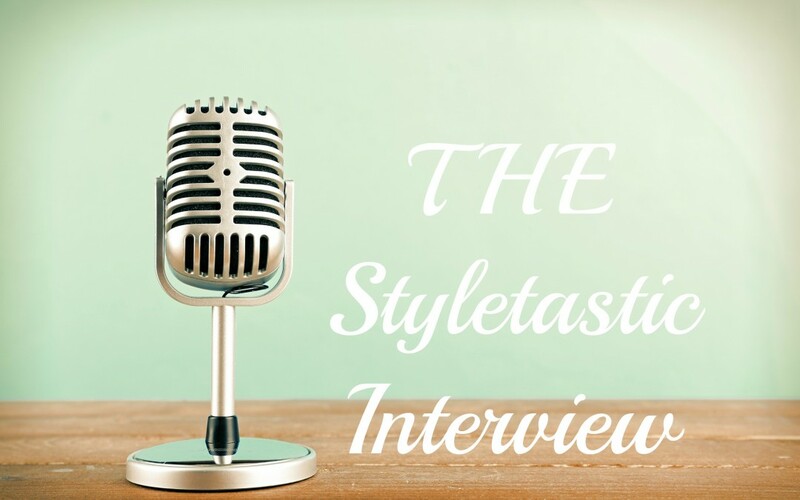 So I have come up with the Styletastic Interview where I ask inspirational women from all walks of life their Style Story. 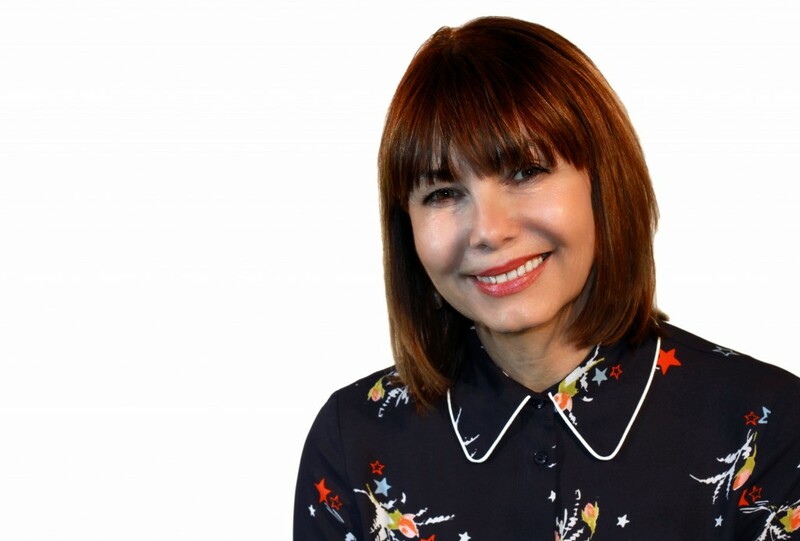 Born in Manchester and brought up in Norfolk, she worked as a bank cashier and club DJ before beginning her broadcasting career with Radio Broadland (1986-2010), then Heart East Anglia (2010-2013). She joined BBC Radio Norfolk in 2014 and landed the mid-morning show in January 2016. 1. Could you please start by telling us a bit about yourself? Mum of 2 – grandmother of 5 (how did that happen?) worked in a bank when I left school and it’s a long story of how I ended up in radio – it all started when I wanted to learn to drive ……………. 2. Can you please tell us a bit about your work and what inspired you to work in that industry? The Mid-Morning Show is a mix of music and interviews – lifestyle, consumer, health mainly topics that we hope will connect with our audience. Radio is a great medium to be part of – it’s a job that you see through from beginning to end, it’s instant, exciting, I can’t imagine doing anything else. I don’t really know – I’ve become less worried about fashion the older I’ve got – if I feel good in something that’s good enough for me. 4. What clothes do you like to wear for work? Smartish – at least that’s what I aim for. 5. What about Clothes at home / social occasions? At home – I’m a jeans and jumper woman. Going out – not over dressy – not OTT – at least I hope so! 6. Where do you tend to buy your clothes and why? Like a lot of people these days – I shop on the internet a lot. The choice is greater – I can try things on at home. 7. Do you have a favourite Designer? I like Matthew Williamson – but I can’t afford any of his clothes. 8. If you could shop in one store anywhere in the world which would it be and why? I would love to visit J CREW store in New York. I could then combine a trip to a city I’ve always wanted to visit along with a bit of shopping. 9. What style items would you “splurge” on (spend a lot of money on)? I wouldn’t feel comfortable spending huge amounts on one particular item. If money were no object, then it’d be a Chanel jacket. 10. What is your most Memorable outfit ever? There are outfits over the years I’ve loved and others I’ve looked at thought “why did I choose that”- the one that now makes me cringe is a dress I bought in the 80s for “female DJ of the Year” – it was gold – huge shoulder pads – massive “wonder woman” belt – oh the shame! 11. 3 things you would never throw out of your wardrobe and why? I don’t hold onto things and h3 ave a clear out once a year. I kick myself about some things I wish I hadn’t thrown away though – namely a couple of outfits I bought on Kings Road in London in the 80s. I could have passed them onto my daughter. I do have a 1960s dress that belonged to my mother-in-law – she bought it from Marks and Spencer. The label says it’s a size 12 – but of course it’s a 1960’s size 12 which is a lot smaller than a size 12 today. 12. Favourite trend past or present? Past trend would be Punk – what a shock that was to the late 70s. 13. Is there a person who is a Style inspiration for you? No – I love looking at fashion pages but don’t follow anyone in particular. 14. Do you have any personal style rules that you NEVER break? 15. What is your biggest challenge when it comes to fashion / style? Some call it petite – I call it having short legs. Trying to find trousers and skirts in proportion is a pain. 16. Make-up! A must have or a “do I have to”? Any favourite brands? I love makeup – it’s a must have for me. At the moment I’m loving Charlotte Tilbury. the one I wear the most is Baudelaire by Byre do……………. I’m not one for “flowery” scents and this one is spicy without being overpowering. I read about the brand and thought I’d give it a try – I’m really glad I did. 18. What would be your Biggest luxury? 19.What is your Smallest luxury? 20. Finally – what is your favourite life motto? Thank you so much Chrissie – what a wonderful insight. We have similar taste in perfume so I must try your favourite. I’m loving your love for Punk – I can just imagine you with a mohican ;). And Charlotte Tilbury make up is on my Christmas list – I am loving the Eyeshadow Palette in “The Sophisticate”, and the packaging is to die for too ! Would you like to share your Style Story? So until next time my lovelies……. I am passionate about helping women look as gorgeous on the outside as they are on the inside. Let the world see the TRUE YOU !! Drop me a line and let me know how I can help you.